Betrayal, danger, and dumb luck… a pirate’s life for me. Colburn Sephiran, first mate of the Damnation, is having a bad week. While war rages between the Ascendancy and the pirates of the Roverian Guild, Col’s captain betrays him, leaves him for dead, and swipes a diabolical weapon that could decide the balance of power. Now, Col and a ragtag crew of pirates must chase his former captain across the Way to prevent him from destroying one planet after another. But can a bunch of renegades really be the galaxy’s only hope? 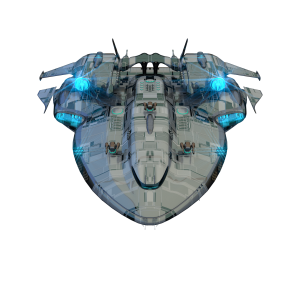 The Grey Nebula is the first book in the War of the Way series. If you’re a fan of space operas like Firefly, Star Wars, and The Expanse, you’ll enjoy following Col and his band of misfits across the galaxy. 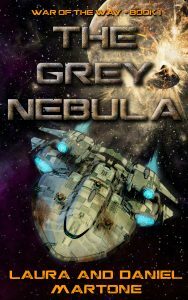 Go Rogue and buy The Grey Nebula today. The War of the Way series — The Way is almost a mirror image of our Milky Way galaxy, but filled with thousands upon thousands of inhabited worlds. A galaxy filled with danger and intrigue… and filled with adventure. For almost five years, the war between the Roverian Guild and the Ascendancy has torn across the Way. The Roverians, the galaxy’s semi-organized pirate guild is trying to hold on to the twenty-five percent of the Way, in which it is the ruling body. The Ascendancy, ruling close to fifty percent of the Way, wants the pirates squashed. Of course when right and wrong is a matter of opinion, both sides are really fighting to control the flow of garmonite, the galaxy’s preeminent fuel allowing access to endless power from the universe’s supply of dark matter. Read Book 1 in the series, The Grey Nebula.